From left: Sri Lanka's Raavana-1, Nepal's NepaliSat-1 and Japan's Uguisu. 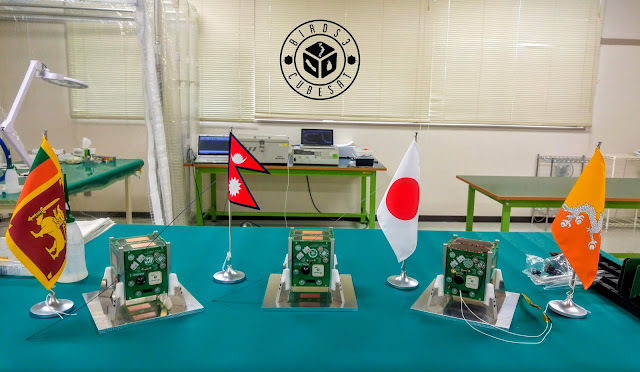 After nearly fifteen months into the project, Kyushu Institute of Technology's BIRDS-3 team have received the green light to finally deliver three satellites; Sri Lanka's first Raavana-1, Nepal's first NepaliSat-1 and Japanese Uguisu to Japanese Aerospace Exploration Agency (JAXA) on 18th February, 2019. JAXA will coordinate the launch with Orbital ATK. The launcher will be Cygnus and will be carrying the secondary payload somewhere around mid-April. This could, however, change with weather condition on the launch day. The three satellites will be first taken to the International Space Station (ISS) as a cargo and then launched using the JEM Small Satellite Orbit Deployer (J-SSOD) loaded onto the Japanese Kibo module after a month or so. The orbit is fixed at around 400km following a 90-100 min orbit. Preparations are now underway in both Sri Lanka (ACCIMT) and Nepal (NAST) to build and operate Ground Station (GS). The constellation will be using the UHF amateur band of 437 MHz. That also means that anyone with amateur radio license anywhere in the world can receive and decode CW signals. 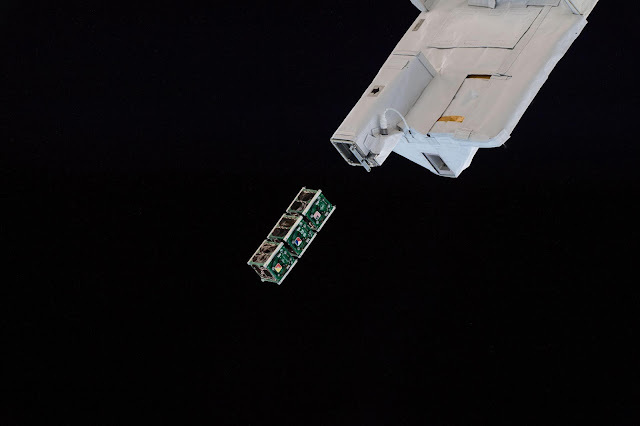 The first week of January, 2019 will pose certain challenges to the team, particularly on finishing up environmental and functional testing on time. The JAXA's Safety Review (SR) documents are due mid-January for the stringent SR to take place end of January. The finish line is almost, almost here. madeinepal.space will have all the updates following important events. Good news for Nepalese people. Very good to know. We wish all the BIRD-3 team members all the best for the grand success.